The changing face of healthcare. With skyrocketing healthcare costs and increasingly stringent government regulations, many medical practices are being left behind. Practices are being forced to close their doors because they simply can’t meet the efficiency and cost constraints of practicing medicine in the 21st century. Medical Software Solutions would like to introduce you to the future of medical practice. By providing computer hardware, software and training, Medical Software Solutions can help your practice adapt and thrive in the world of 21st century medical practice. What is an Integrated Practice Management & EMR? Why should my practice use an integrated medical information system? HIPAA Compliance It is nearly impossible for practices to comply with strict HIPAA regulations without an integrated medical information system. Medical Software Solutions provides everything you need to become and stay HIPAA compliant. 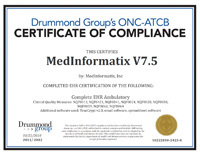 CHHIT Certified MedInformatix Version 7.0 is a CCHIT Certified 08 Ambulatory EHR. Improved efficiency It typically takes four or more total support personnel for a single physician. With an integrated medical information system it takes three or less! The Bottom Line It saves you money! As a value added reseller of MedInformatix software, Medical Software Solutions can provide the software and training to ensure that your practice can meet the changing demands of 21st century medical practice. Medical Software Solutions can provide a customized, flexible solution to accommodate any practice, regardless of size, specialty, or budget. We will be happy to arrange a demonstration, so you can experience the benefits of integrated medical information systems first hand. 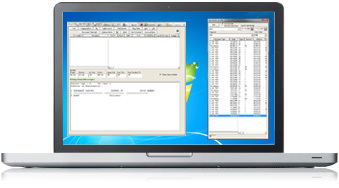 Medical Software Solutions is a subsidiary of Medical Care, PLLC. Medical Care, PLLC has been using MedInformatix software in a “paperless office” for over ten years. We would like to welcome you to tour Medical Care’s facility and talk with our staff. Call today to arrange a tour and see an integrated medical information system in action!